Fallout and Planescape: Torment composer Mark Morgan has agreed to lend his considerable talents to the point-and-click horror adventure Stasis. Stasis is a point-and-click sci-fi horror adventure that hit Kickstarter a little over a week ago, and it's doing pretty well so far, having already notched up nearly $60,000 of its $100,000 goal. Much of that can likely be attributed to the fact that a playable alpha demo is available and shows tremendous potential, but it also received a big boost yesterday with the surprise news that Mark Morgan has signed up to compose the soundtrack. Morgan may not be one of the most prolific or best-known composers in the game business, but he did the soundtracks for Fallout, Fallout 2 and Planescape: Torment, and that's good enough for me. 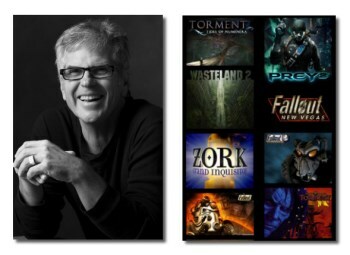 He's also provided music for games including Descent II, Zork: Grand Inquisitor, Civilization: Call to Power and Fallout: New Vegas, which made use of his original Fallout score, and he's currently working on the Wasteland 2 and Torment: Tides of Numenera projects. He has an understated but very distinct style, and his participation in the Stasis project is very exciting indeed. Stasis is set aboard the research vessel Groomlake, which has been struck by some sort of catastrophe and is now in a near-derelict state, with systems shut down and most of its crew missing or dead. You're awakened from a state of stasis, with no idea how you got there or what happened to your wife and daughter, but it soon becomes apparent that something very sinister is happening. The deeper you dig into the mystery, the heavier the question weighs: How far will you go to save your family? The Stasis Kickstarter is live now and runs until December 7. More information about Stasis (including the demo) can be found at stasisgame.com, and if you're curious about Mark Morgan you can check him out and listen to some of his work at markmorganmusic.com.